If you have crooked teeth, you aren’t alone. Millions around the world suffer from the same problem. It’s something that cannot be solved naturally, so both teenagers and adults have to live with the problem until they go to see an orthodontist, who these days can offer a variety of solutions for crooked teeth. Crooked teeth can occur in different directions, such as moving backwards, forwards or sideways depending on the cause. Nature hasn’t quite found a solution to crooked teeth, so you can even inherit the problem and there’s not much you can do about it. If either one or both of your parents have crooked teeth or a misaligned jaw you will most probably develop crooked teeth too. If you lose teeth when you are very young, adjacent teeth to the gap caused by the lost tooth may start to lean towards the gap, because they have lost the support of neighbouring teeth. If you have had a dental restoration fitted, like a crown or bridge, it can sometimes put undue pressure on your teeth and they could move out of place or they could affect how well your teeth come together when you bite. A thumb sucking habit puts a fair degree of pressure on your teeth and they could move out from their original position causing them to become crooked and misaligned so they don’t fit together well when you bring your teeth together. This is called open bite. If your gums have suffered from disease or you have injured your gums in an accident your teeth may start to work loose and they will become misaligned which will affect your ability to use them effectively. 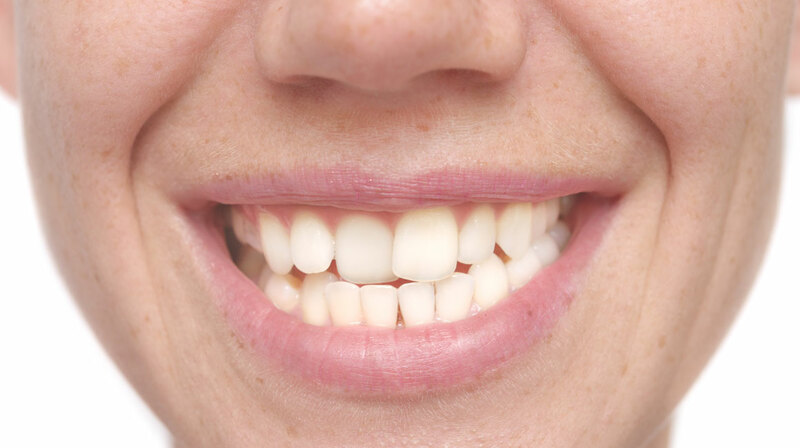 As you age you may find your teeth tend to drift forwards, so they stick out more noticeably. This is caused by your jawbone, which loses its density and shape over time. People who play sports which could involve contact in or near the face need to wear a mouth guard. This helps prevent your teeth from being affected by a mouth injury that could leave the teeth misaligned, or even affect the jaw’s position. If you have already been through braces treatment you will be asked to wear a retainer for the rest of your life by your orthodontist, as this is the only way a newly straightened set of teeth will keep in its corrected position. If your teeth are crooked and you have had enough of it, you should consult your Malmin Orthodontist who will recommend a suitable solution to your problem. If your orthodontist’s instructions are followed without fail once the braces treatment has been finished, you can hope to keep your nice, new set of straight teeth for a long time into the future.